Aside from the wonderful hack, isn’t it incredible how usable those google translations have become? 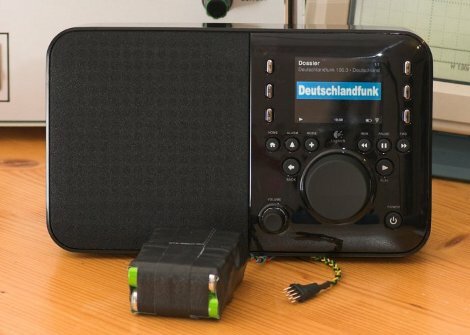 I own a squeezebox boom, without question is the most disappointing device I have ever purchased. Despite the claimed iTunes compatibility, it has little to no interaction with iTunes, rather it is able to coexist on a Mac with iTunes somewhat peaceably. The UI on the device is suboptimal. The UI on the daemon you have to run on your Mac (or other system) is not much better (and it’s a resource hog). While this is an interesting and somewhat useful hack, I couldn’t recommend to anyone to buy these products. The SB Radio has a battery compartment, apparently a remote+battery pack will be released this year. I have 2x SB Radios and a Duet. The server runs fine on a 500MHz AMD Geode (from pcengines.ch). It would be great to be able to take a SB Radio outside in the summer for BBQs. However I think I will have to work on my wifi range then. Mama’s got a squeezebox, Daddy never sleeps at night. amazing, so there are two easter eggs at least? One is purported to display “Who” lyrics (aka squeezebox), and this new one shows a picture of a woman? Does his battery fit inside I wonder? Good hack, silly there wasn’t a battery available. Makes me want to whip up a battery pack for my “Livio Internet Radio Featuring Pandora”. It’s perhaps not in the same class of device, but still something that could benefit from being made a little more portable for when the need arises.